Need to make a flashy entrance at your next Halloween party? 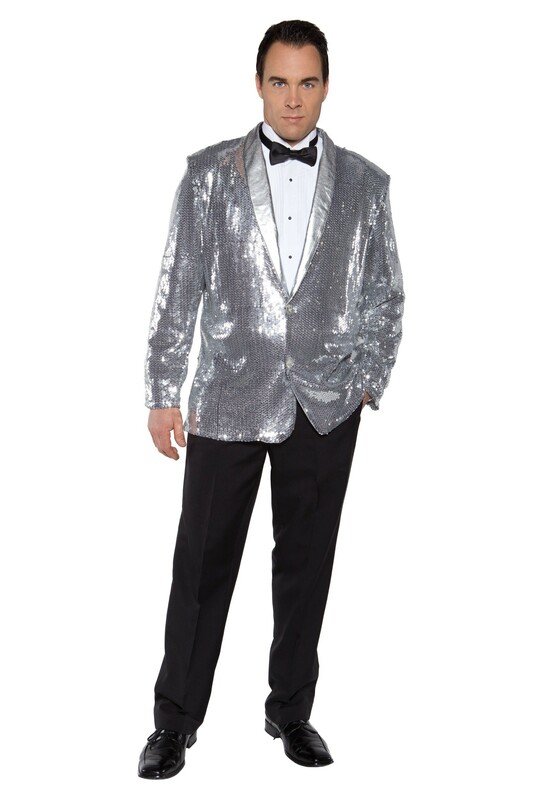 Well, that can be done easily and in an instance when you add this Silver Sequin Jacket to your ensemble! Just look at the shine on this suit jacket! Toss it on and you'll be ready to hit the stage and entertain thousands of people with some smooth jazz tunes or maybe a mind-bending magic act is what you have in store for the crowd! Either way, you are sure to shine with this classy jacket finishing off your outfit. Without a doubt, you'll be the most standout bachelor at any event you attend. The light will hit you just right and you'll be as immaculate and alluring as a disco ball! We know it may be out of your control but, please try not to blind anyone with this eye-grabbing jacket. You know what they say, Silver Sequin Jackets are all fun and games until someone is blinded on the dance floor!